(transcribed by Michael Readman) The mega event, it is something often talked about in boxing, but rarely do these match ups ever happen. The fight between Marvin Hagler and “Sugar” Ray Leonard is the rare exception, and it was an event that even today is still talked about. 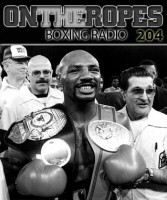 In part 2 of my exclusive interview with Marvelous Marvin Hagler, I discuss with him the circumstances surrounding the bout with Ray Leonard, and his views on how the fight was scored. I also talk with Marvin about his reasons for retiring after the Leonard bout, and ask him if he thinks he could of done anything any different to have got the fight to go in his favor. Here is what Marvin Hagler had to say. Jenna J:The one fight that boxing fans argue about the most, and I know you know which one is coming up right now, the fight with ‘Sugar’ Ray Leonard. It’s one of the first fights that people really say, “Wow that was such a controversial fight,” and they always score it differently. I’m curious, have you yourself watched that fight since then and scored it? Marvin Hagler: Well I just threw about thirty TV’s out (laughs). I just can’t understand what the people seen. 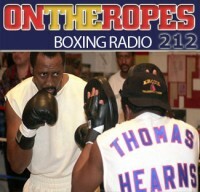 I gave Roberto Duran credit, Tommy Hearns credit, Mugabi credit. I mean these people came to fight, they came to knock my head off, they came to knock me out, they came to try to take away my belt, but the fight there with Leonard was a little different type of style of fight. Basically on my point, I was the champion and I fought like an underdog in that fight, I fought like a contender and like I said before, if you don’t knock the champion out or beat the champion successfully, the title always goes back to the champion. I felt at that time that they took it away, they didn’t beat me, they took away my title from me. I don’t feel anything bad because inside my heart I know that I won the fight. What I do now is I leave that to the past and I go on in the future, that’s what I look at now. 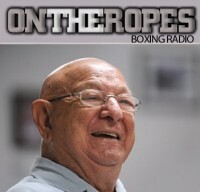 Jenna J: Do you ever look at the way you fought Leonard, you know fighting the first few rounds orthodox, do you look at any part of it and wish you would have done something different to not even give the judges any doubt? Marvin Hagler: No, I think that I did the right thing, I thought it was a good fight, even if they say I lost the first three rounds. I came on, I fought real hard I picked up those rounds they said that I lost, I ended the fight real strongly and this guy only with his pitter patter stuff like a little girl. There was nothing that was hurting me, I came out of that fight looking just the way I look right now, I mean I had no scars, no bleeding nose, no bloody nose, no effects that I was in a tough battle or a tough fight, it was just like that. I knew that I had won the fight and I was dancing around parading and everything, and finally I’m just asking them to give me my dues the way that it’s supposed to be, to be a real champion, and that never happened you know. It was the politics involved in the game and a lot of other things that go on behind the scenes which I don’t know. Jenna J: Marvin, being the fact that you decided to retire after that fight, do you really feel like that was the right move for yourself at that point because there were other belts you could have gone after. Was it because you couldn’t get the rematch him? Marvin Hagler: Yeah, I hung around for another year and I was hoping that he would be the champion that he’s supposed to be and to give me a return match, which he never did. I wasn’t gonna hang around for me to get older or whatever like that, so I decided that I wanted to go into films. I wanted to be able to show also the world, the boxing world that there was something else out there besides boxing, that you really don’t have to kill yourself trying to stay in this game for the rest of your life. There is other options out there that you have to do, and with me while I was still young I wanted to take advantage of it and that’s the reason why I went into acting. Jenna J: Alright, well you mention you went into acting, you also bring up a very important fact, a lot of boxers can’t find a career after boxing, but you yourself did. Did you ever feel a draw to go back into the ring or is it because you engulfed yourself in your new endeavor that you didn’t feel the pull at all? Marvin Hagler: No, I feel I achieved everything I wanted to do in life and I’m still like I said, I’m looking forward to continuing my acting career, another film would be great for me. I’m very happy and satisfied right now doing a lot of charity benefit works, doing a lot of dinner shows, doing a lot of personal appearances, traveling a lot around the world, doing things with my website, which is http://www.marvelousmarvin.com/ and we got a lot of great Christmas gifts and stuff out there for everybody that is listening so don’t be afraid to give me a write. So like I said, some of the charity work I’m doing for Laureus Sport for Good Foundation is helping a lot of kids which makes me feel good to be able to put a smile on a young kids face and being able to give something back you know, when you finish your career. That’s what I’m happy about, we just keep trying to do the right things. Jenna J: You certainly sound like you’ve been doing a lot out there outside of boxing helping charities. I have to ask you, you mention your website there, I remember when you first came on the show and you had a product line that you told the fans about. Why don’t you tell them a little bit about it now. Marvin Hagler: Yes, we still got the perfume out there, as a matter of fact we got 20% off because of the holidays and stuff like that. I get a lot of sales which keeps my name out there. It’s nothing that you’re gonna get rich on, it’s something that touches the base with my fans and my friends and it makes everybody feel happy you know to have achieved something, to have something of my personal render like that. So it’s good, it keeps me occupied and keeps me busy too. 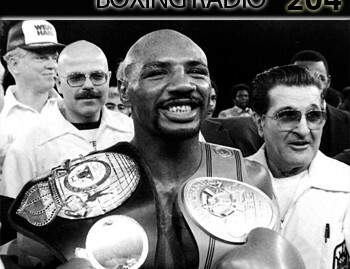 To read part one of my interview with Marvin Hagler, just follow the link below. 23 Responses to "Marvin Hagler: “I don’t feel anything bad because inside my heart I know that I won the fight with Leonard”"
Pacquiao, with or with out chin, PED or no PED, Bearded or no beard, …all of that is not enough for Floyd to convince to fight Pacquiao. All of excuse in the book had been use… yet he is still keep making up excuses off the book. IT IS NOT GOING TO HAPPEN!!! y mayweather just to agree and fight pacquiao … this mayweather vs pacquiao endless was going to an debate pass to the next generation , may be 50 years of debate if the 2 superstar didnt fight..
its ok The Pacman don’t have a chin………….than not having any balls to fight at all…. Just tell Floyd to fight Pacman. The question here is, do Floyd Mayweather has a knockout power to knock Pac out? No, I still believe that Pac can just come after him as if no punch from Mayweather is coming. BTW, Pac has been knocked out before with one punch on his chin but he came back and won fights via knockout. But still Mayweather is scared…period! boxing is making money. right? that is why Floyd called himself “MONEY”. right? when pacquiao becomes popular, he called manny a fighter who fights drivers. when manny won on class fighters like ODH, Hatton, Margarito, Cotto, mayweather is uncertain what to call pacquiao, he said that manny fights the fighters whom he already defeated. BTW, he didn’t fought margarito and cotto during their era. he avoided them. remember that he fight cotto and marquez after manny defeated them.. . now he continously avoided manny with many excuses, from peds, to purse issue, promotional issue now the latest is the losses of manny issue.. i think you all is right.. FLOYD is afraid of Manny.. If floyd-amir fight pushes through, i will definitely call him a liar and gay, HOW IN THE WORLD WOULD YOU CONSIDER FIGHTING MANNY’S SPARRING MATE? shame on you floyd! mayweather has no balls to fight the npacman!!! Maybe Hagler have never seen manny’s fight againts cotto, margarito and all those bigger guys he fought… he took their punches pretty well and beat them up like hell. I take nothing away from Marquez’s knockout win over Pacqiuao.. any fighter who gets caught with that kind of punch would be knocked out real good. But we all know, Manny made a mistake by being too aggresive at the end of that round. Besides, Marquez can never do that again if they ever fight again. Miracles don’t happen twice in this sport. Mayweather knows very well that even though Manny may have slowed down a bit, Manny is still a little faster than him. Those barrage of punches that Pacquiao throws are dangerous. A fast fighter like him who can take advantage of a situation when the opponent is hurt would be a real threat to Floyd. Mayweather has never fought someone faster than him. Those times he got hurt during a fight his opponent was not fast enough to pull the trigger… Put Manny in there and let’s see how well he can dodge 4-5 punches in a row. Even counter punchers can’t handle that if it’s fast enough that reaction would be too late. Hagler always did like fighting the little guys who moved up in weight to fight him: Leonard, Duran, Mugabe, Hearns. On the other hand, he was terrified of Michael Spinks and wanted NOTHING to do with moving up in weight himself, as he demanded other guys do for him. Leonard had been out of the ring for 3 years and had had one fight in over 5 years when he faced Hagler. He had NEVER fought as a middleweight and didn’t even have a tuneup fight. 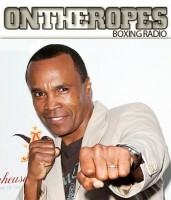 He went in against Hagler cold. And Hagler, sissy that he STILL is, is still crying about that fight. He ought to be ashamed of himself for even taking the fight in the first place, wanting to fight a scrawny welterweight who hadn’t seen the ring for 3 years. If he was the man and the warrior he seems to think he is, he’d have manned up and fought Michael Spinks. But courage to do what Duran, Leonard, Mugabe and Hearns did was something Hagler knew nothing about. I would like to get across my admiration for your kindness supporting folks that must have guidance on in this subject matter. Your personal dedication to acquiring the remedy throughout had become particularly advantageous and has encouraged regular folks just like me to obtain their pursuits. Your insightful info means a lot to me and substantially much more to my fellow workers. Thanks a great deal; from all of us. I agree with Marvin “Marvelous” Hagler that he’s the winner between him ang Sugar Ray Leonard in their championship fight.I watched the fight repeatedly and i have no doubt in my mind that Hagler was.. the winner.Just like Paquiaio vs Bradley that Paquiao was the clear winner and it was Bradley declared winner.It’s a HIGHWAY ROBBERY!!! No disrespect to Marvin but I had Leonard winning that fight. I’ve watched the replays countless times. It was a close fight. Marvin Hagler you my man ,but you let Leonard play you and the judges. Hagler all day u don’t take away a championship by running and throwing 50 low blows unwarned during the fight. News reports had it that the Marvelous One had agreed to the fight distance being reduced to 12 instead of 15 rounds back then – upon Sugar Ray Leonard paying Marvelous Marvin Hagler for that. I don’t know whether that’s true or not. This was also a period when the fight’s distance were in transition. When I read that in the papers I knew Hagler would not win the fight. After all those years and watching the fight a number of times, I am still not convinced Hagler deserved to lose the fight or that Sugar Ray deserved the nod. Three more rounds and Hagler would have ko’d Sugar Ray. 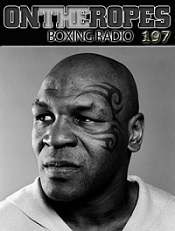 Agreeing to reduce the distance Hagler was the cause of his own defeat – if the news reports back then were accurate. I still admire Hagler to this day though. In jest – It’s a good thing I didn’t bet on Hagler that day. I’d have been a poor sod today.